1Not available with special financing, lease and some other offers. See dealer for details. 2Porter Spring Savings Cash. Valid for IN-STOCK Vehicles Only. 3Not available with special financing, lease and some other offers. See dealer for details. 4CONQUEST % CASH BACK. STACKABLE % CASH BACK FOR CUSTOMERS WHO HAVE OWNED OR LEASED A NON-GM VEHICLE 2005 OR NEWER FOR A MINIMUM 30 DAYS. COMPATIBLE WITH % OFF DISCOUNTS ONLY. NOT COMPATIBLE WITH GM EMPLOYEE DISCOUNT OR OTHER DISCOUNT PROGRAMS. 5See Dealer For Details. 6Monthly payment is $13.89 for every $1,000 you finance. Example down payment: 8.5%. Must finance with GM Financial. Some customers may not qualify. Not available with lease and some other offers. Take new retail delivery by 4/30/2019. See dealer for details. Porter Chevrolet has a wide inventory of the new Spark for its local customers. This hatchback is not only stylish, but also surprisingly spacious. Now, zipping around in Newark will be more fun. It comes standard with all the latest technology. The dual-tone seats, leather-wrapped steering wheels and a seven-inch infotainment system are some of the standard elements of its interior. The new Chevrolet Spark comes equipped with 10 airbags, which make one feel safer on the road. We have an extensive inventory of models for you to choose from. 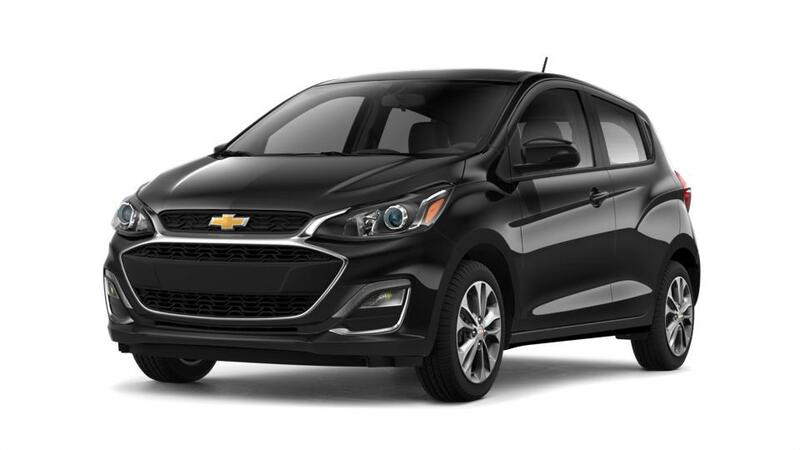 Come to our dealership and test-drive the Chevrolet Spark today! Newark drivers can always drop by or give us a call to schedule an appointment anytime they want!